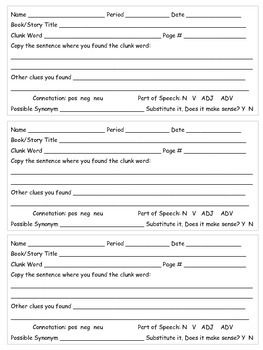 Your students will easily determine meaning of unknown words with this reading strategy organizer. 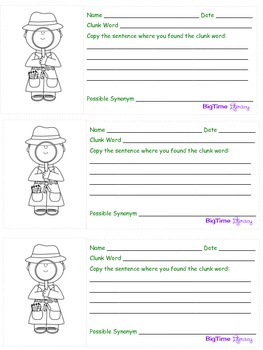 "Clunk Words" are words that are unknown to readers. This organizer will help them problem solve the unknown words they find.